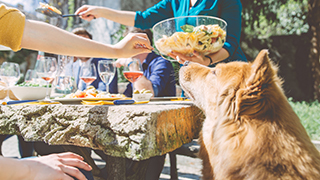 Your pet is part of your family – it’s only natural that you’d consider taking him on your holiday abroad, or if a change of circumstances means moving overseas. Here’s what you need to know about pet passports, to help you plan your trip. If you need to bring your dog, cat or ferret into the UK from a European Union country for the first time, you’ll need a pet passport. The same goes for taking your pet on a trip to another country within the EU. None of the rules in this article are currently affected by Brexit plans for the UK to leave the European Union. Pet passports include a record of all treatments and vaccinations your pet has had, and are provided by the Pet Travel Scheme (PETS). They are for travel within the EU only. For travel outside of this area your will require an Export Certificate via your vet. Most vets can issue you with a pet passport. If your local vet doesn’t provide this service, they’ll direct you to a clinic that does. When you apply for a pet passport, you need to take your pet together with their vaccination and medical records, to the vet who will issue the passport. 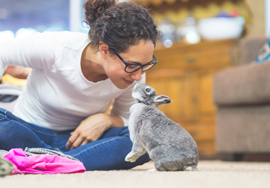 If you want to bring your pet into the UK and he doesn’t have a passport, you’ll need to get an official veterinary certificate from the country concerned. Pet passports cost will vary depending on what your pet needs (rabies vaccination, microchip etc.) Please contact your local vet for specific costs. None of the rules in this article are currently affected by Brexit plans for the UK to leave the European Union. What else do I need to know about bringing my pet into the UK? Your pet has been vaccinated against rabies (he or she will also need a blood test if you’re travelling from an unlisted country*)Dogs need to have had a specific treatment against tapeworm in the country you are travelling from, given no less than 24 hours and no more than 120 hours (5 days) before you enter the UK (exceptions exist). Why are pet passports important? 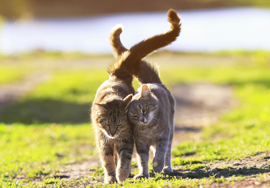 If you don’t want to be separated from your pet – and, let’s face it, who does? – it’s vital to follow the rules outlined in this article. If you don’t, your pet can be put into quarantine for up to four months, and can even be refused entry to the UK. How do I find out more about the pet passport scheme? You’ll find full details of the pet passport scheme on the government website. If you have any questions about the scheme, just call the helpline – 0370 241 1710 – before you make your travel plans. 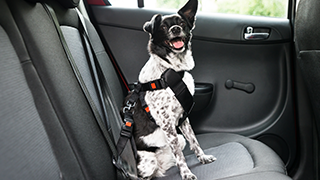 Need advice on travelling with your pet? For expert advice on travelling with your pet, and the pet passport scheme, get in touch with your local vet.